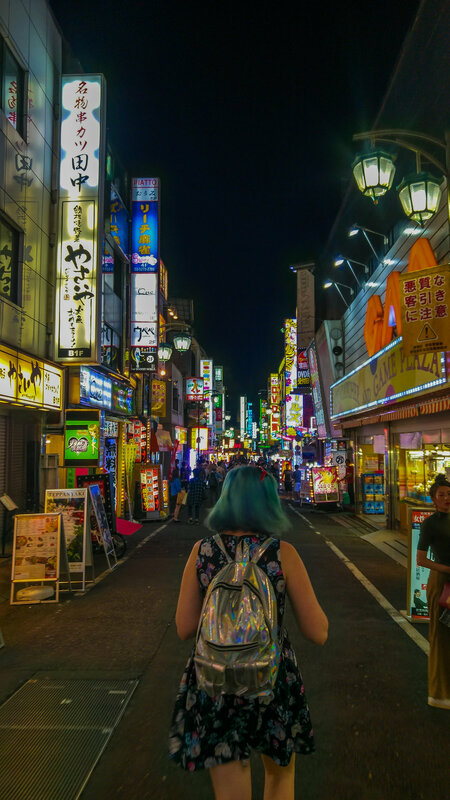 If you’re looking for the busiest, liveliest, brightest, craziest area to stay while visiting Tokyo, there is no other option for you other than Shinjuku. Shinjuku is home to the world’s busiest railways station, where more than two million passengers flow through their hallways each day. 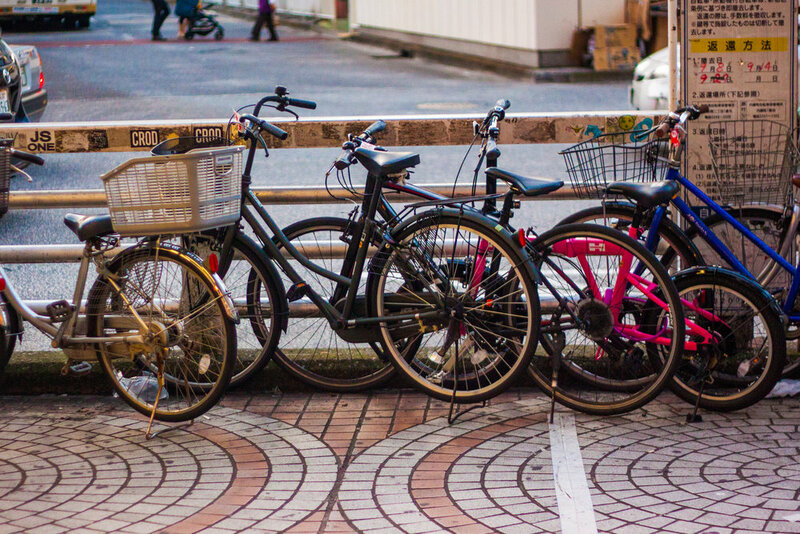 Hundreds of bikes hang out outside the station, awaiting their owners to pick them up after work to use as their final means of transit on their way home. 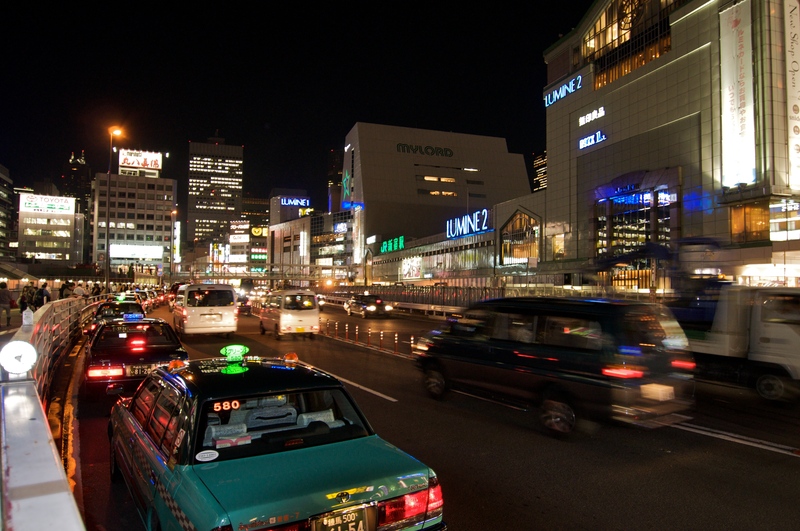 Shinjuku is the Japan that many people envision when first thinking about visiting. It’s modern, it’s bright, and it’s the location used in "Lost in Translation" (which for some people is their only vision of Japan). Shinjuku was originally several different towns that throughout the years eventually joined to make up the area we now refer to as “Shinjuku”. Each of these district does however still retains some part of their original distinctions despite now being lumped into the one title. It is easy to access Shinjuku since so many metro lines stop here. Finding your way out is another matter. Shinjuku Station has over 200 exits and if you come out a random exit, finding your way around to where you were headed might take 20 minutes if you end up on the wrong side! Even locals get turned around here. But don't let this scare you. Try to find some signage for your destination and make sure to follow those instructions. The signs in the station are in both English and Japanese so as you long as you are diligent in following the directions, you'll get out no problem. As you exit the train station, through an almost constant stream of people, you enter Nishi-Shinjuku. You’re immediately struck with the height of the skyscrapers surrounding you and the almost blindly bright lights of the neon signs which adorn the facades. If you’re looking for a great view of Tokyo, some of the tallest buildings have observation decks open to the public which offer incredible views completely free of charge. Take that Tokyo Tower! Surrounding the station, you’ll also find huge department stores, suburban malls and electronic shops. If you’re looking for pretty much anything, this is the place to come to shop! Shinjuku is one of the best places to do some shopping. Unlike some areas like Shibuya which are mostly geared towards women, Shinjuku has something for everyone. Fashion and electronics galore! Lumine 1 and 2 are my favourite shopping towers for the younger generation. The tops floors of each of this complexes have incredible food courts with dozens of different restaurants. This stunning piece of Japanese architecture features an impressive two-tower structure. 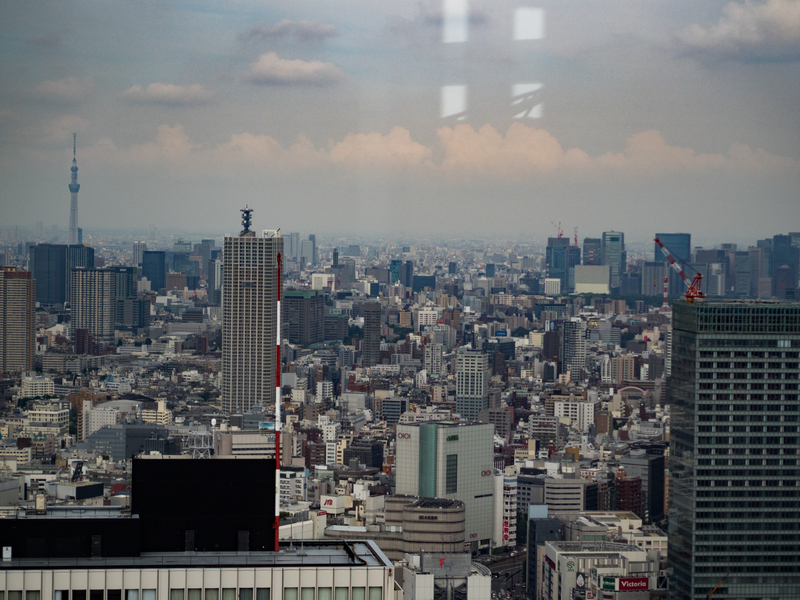 At the top of both the north and south towers are free to access observation decks where you can get an obscured view of Tokyo! Tokyo Sky Tree and Tokyo Tower both charge to get up to the top but from here you not only get the view for free but also a great view of these iconic landmarks. To the northeast is Kabukicho, the wild, red light district. Down these alleyways, you’ll see large light up signs advertising women and men of all varieties, casinos and rowdy bars. The name comes from the word “Kabuki”, a classical Japanese dance-drama that was once performed in theatres across Japan. Once the most popular form of entertainment of it’s kind, Kabuki has now been replaced with nightclubs, love hotels and red light establishments. Some of these places are notorious for charging huge entry fees, spiking drink prices and targeting tourists so proceed with care. 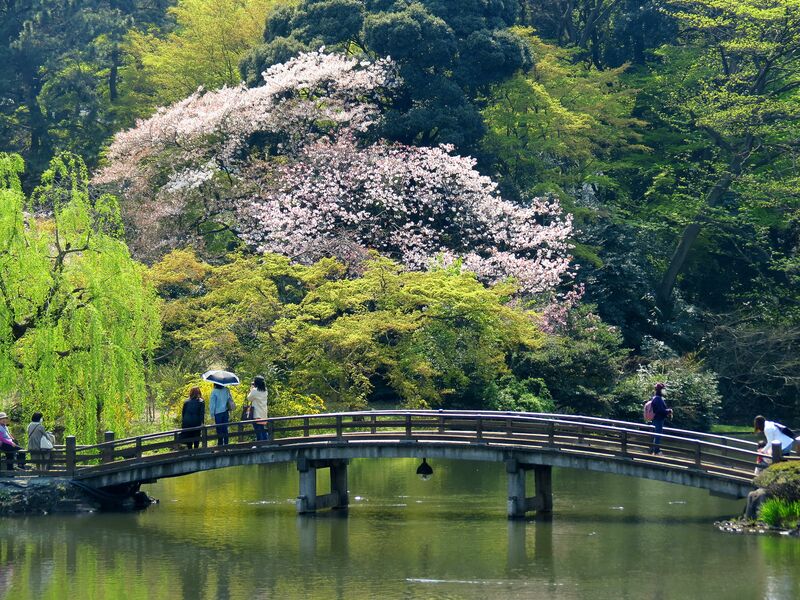 If you feel like taking a break from the hustle and bustle, big lights and neon signs, then head down to the Shinjuku Gyoen. This enormous oasis is located only 10 minutes away from the station. Since it was initially built as the Imperial Garden for the Shogun, the landscaping is stunning. During Cherry Blossom season this is one of the most popular spots to sit and enjoy thousands of those pretty pink petals. For slightly more PG type of fun, explore "Omoide Yokocho" (Memory Lane). The network of side streets to the north-west of Shinjuku station are dotted with tiny restaurants serving up ramen, yakitori and kushiyaki. Cheap, quick eats that pair perfectly with a cold glass of beer. The later it gets in the evening, the more and more exciting this place gets. It can get a little intense for some people (me included) although I never felt unsafe. But if you’re a bit shy and don’t like hanging out in HUGE crowds of intense people this might not be your cup of tea. But if you’re up for some fun, wander these streets, and you’re bound to walk right into one of the craziest nights of your life. You might notice as you walk, that above the skyscrapers is a life-size replica of Godzilla just hanging out. His head peers down over the buildings, red eyes piercing and teeth ready to chomp. 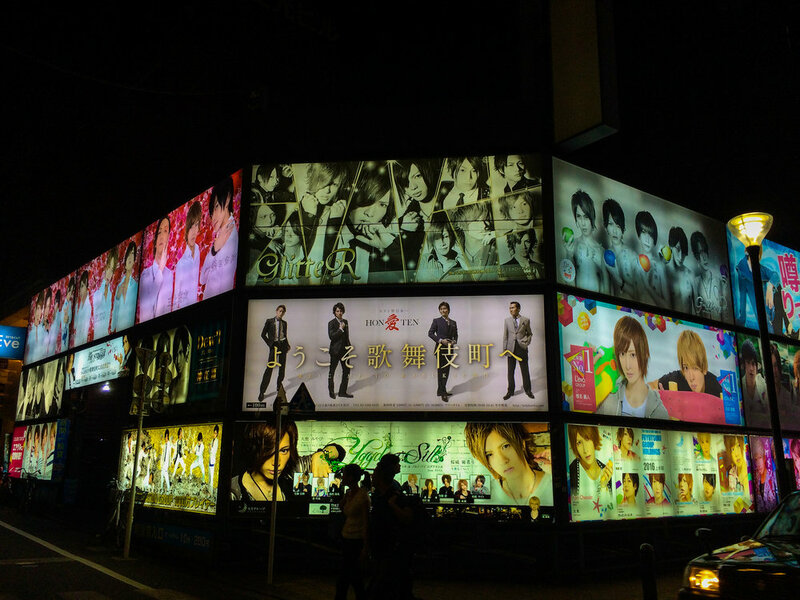 This monster is a giant advertisement of Toho's newest cinema. **Toho** is a film production company most famous the movie Godzilla. Constructed around Godzilla is the Hotel Gracery Shinjuku where you can rent a room with a view of the monster’s head. There's nothing quite like it. Along the streets are also some of the best eateries that Tokyo has to offer. The sushi conveyor belt restaurant, Shionzushi is one of the most popular, and if you can manage to wait in line, you’re sure to have a great experience once you get inside. Ichiran Ramen is one of the most popular Ramen shops in Tokyo and they have a great location here in Shinjuku where you can sample some incredible noodles. If you're feeling like something fried then you have to check out Katsukura. Katsukura is located on the 14th floor of the Takashimaya Times Square shopping complex and serves up deep-fried pork cutlets served alongside rice and shredded cabbage - to help cut the fat. But what might be the strangest thing in all of Tokyo is the fabled Robot Restaurant, right in the heart of Shinjuku. For many tourists, this is the only reason they might come to this area. 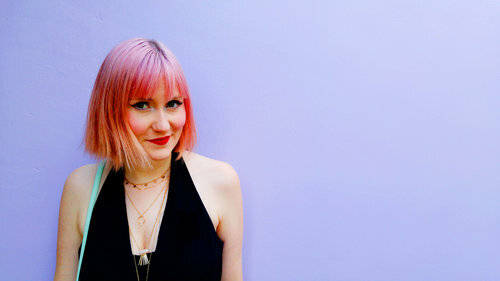 (More details about the experience in another post). The insanely bright colours and robotic cyborg, large chested woman, outside the entrance to the theatre are enough to draw anyone’s eye. Despite its popularity, this is truly one of the best things we experience while in Japan and is unlike anything you'll ever see anywhere in the world. Worth the price if you're looking for a truly unique night. This tiny alleyway, crammed full of little wooden shops is one of the most popular areas for tourists. It has become somewhat of a tourist trap, and most bars charge a significant fee to get in the door. That being said, the experience is unique. This bars can only hold around six people per shop. Some are themed, and lots have a very retro vibe.